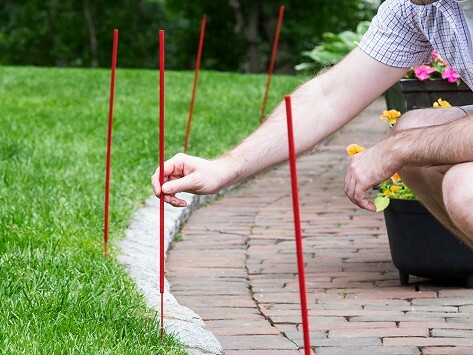 Stake an extra-large mosquito repellent incense stick in a flower bed, planter, or directly into the yard to ward off pests. It’s powered by DEET-free natural repellent made with lemongrass oil and geraniol (from geraniums) and creates bug-fighting coverage of about 200 square feet. When a stick is done, it’s biodegradable, too. Caution: Keep out of reach of children and pets. Never leave incense unattended. Keep away from flammable materials. Dimensions: Each stick: 22.25" x 0.25"
These work well! light them BEFORE you go out to give those pests plenty of time to know they will not be tolerated. I will be using this product always! I had a BBQ and used this, there were no mosquito's, flies or bees for at least 6 hours. These plant well around the area. Stood up well without falling over. The Skeeter Screen mosquito repellent diffuser keeps pests at bay in a decorative and (optional) hanging design. It’s powered by DEET-free repellent made in Texas by the Stuart family, who have been working with fragrances for decades. We really like that the diffuser can sit or hang anywhere you want to boost pest protection. The Stuarts also created a biodegradable, extra-large incense stick that uses the same repellent formula. Stick one in a flower pot or right into the yard. Both measures of protection cover about 200 square feet and are powered by a formula of lemongrass and geraniol oil—which is derived from geraniums—to fight bugs. We appreciate this great smelling and eye-catching natural approach.